Selling your house just got super easy (and lucrative)! When you’re selling your home, you need experts on your side to know when to list your home, how to talk about it, maximizing your home’s market value, and generating the right interest to receive the most offers. Our team of real estate marketing professionals focus specifically on selling YOUR home. If you want your home to sell faster for more money, Matt Curtis Real Estate is the right choice. Selling your home is as easy as 1, 2, 3! Step 1: Choose the selling method that is right for you! With Matt Curtis Real Estate Instant Offer, you can sell your home with no showings, no prep work, and less hassle! Contact our listing team at 256-333-MOVE to set up a listing consultation. Our team will set up an appointment to go over the Instant Offer process and set up a time to see your property. Using the Guaranteed Sale option, you can have the peace of mind that your home will sell within 90 days. Contact a listing agent for more details. If you're looking to maximize the value for your home, then the traditional sale might be the best fit for you. Our listing agents can walk you through the process to prepare your home to maximize your value. Step 2: Get your home on the market! List your home for sale with Matt Curtis Real Estate and let our listing agents work for you! With our list of current buyers looking for home, marketing plan, extreme open houses, and professional photography. We have a list of over 40,000 potential buyers that could be the buyer of your home! We spend over 500 times more on online marketing than the average real estate agent! We hire professional photographers to get the BEST angle on your home to showcase to buyers! Your home is being sold by a team of individuals that specialize in their positions to focus on getting your home sold! Step 3: Sell your home and move into your next dream home! 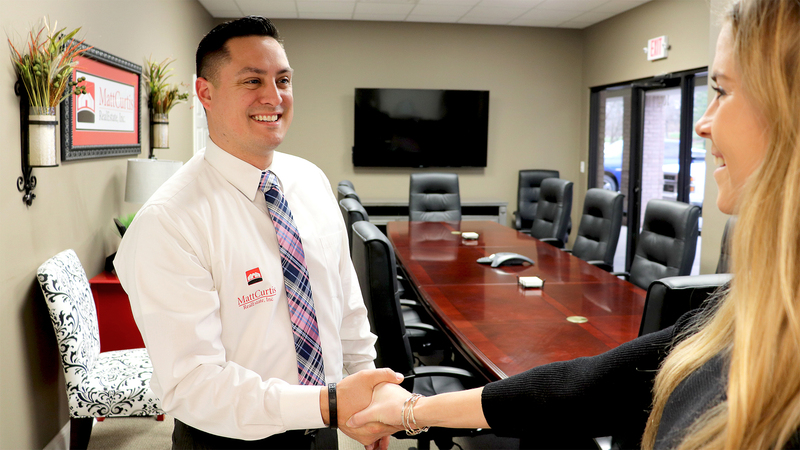 Whether you chose the instant offer, guaranteed sale, or traditional sale method - our team helps you move on into your next dream home! You are able to smoothly move on to the next phase in your life! Our closing team assists you in getting all aspects of closing to completion, including paperwork and setting up appointments with the buyer so that you can breath easy knowing a specialist is handling your sale. Our team is here for you every step of the way! Call us today at 256-333-MOVE! Informed sellers are more successful, you are able to get direct feedback from showings on your password-protected seller’s portal. The portal also shows when your home is unlocked, giving you peace of mind while you are away or out of town. Contact us below to get connected with a Matt Curtis Real Estate Listing Agent!